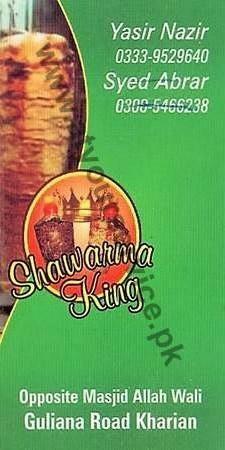 Shawarma King is located opposite to Masjid Allah Wali, Gulyana Road, Kharian. For tasty shawarma in Kharian, visit us and we will serve you the shawarma on Gulyana Road Kharian which you will never forget. Guaranteed.